As you all know February 14 is Valentines Day and a great day to express your appreciation to those that you love the most. Whether it is family, friends, or business associates saying you care always passes the 4 Way Test! 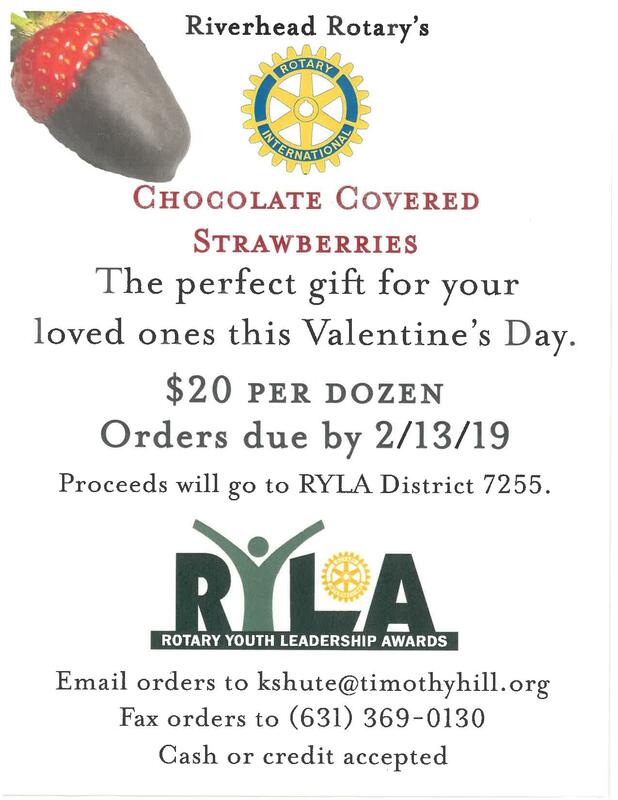 In addition to showing you care by giving a dozen dark chocolate dipped strawberries you will also help send young people to RYLA during the 2019-2020 year. All proceeds from this fundraiser go to promote RYLA programs. Thank you in advance for your orders. Please email orders to Kathy Shute at kshute@timothyhill.org or fax to 631-369-0130.